The land passed to King Henry VIII on the Dissolution of the monasteries. Sir James Altham, a judge and Baron of the Exchequer to Elizabeth I and James I, eventually bought it in 1604. In 1612, he built Oxhey Chapel; the same year in which he, together with Sir Edward Bromley, presided at the trial of ninteen notorious witches at Lancaster Castle. Nine were condemned to death by hanging, including Old Demdike and Old Chattox. The case was famously dramatised in 'The Lancashire Witches' written in 1680 by the Restoration playwright Thomas Shadwell (1642?-1692). In the nineteenth century, the estate was divided and in 1879 the new administrative district of Oxhey was carved out of three older government areas, Watford, Northwood and Bushey, with most of the land coming from Bushey. The new Parishes Act, the Peel Acts, were passed in 1843. These Acts authorized new Church of England parishes if the population of the parish was at least 4,000. Half the seats in the church had to be free. In 1880, the London Gazette stated that 'the Queen's most excellent Majesty in Council' agreed to the new parish of Oxhey being established. St Matthews' first vicar, Newton Price, was appointed in 1880. In 1944, the London County Council acquired the land around Oxhey Place for housing, including Oxhey Chapel. 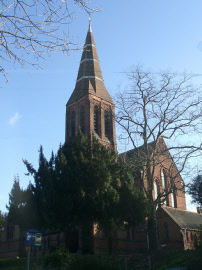 The first council tenants attended St Alphage, a daughter church of St Matthew's in Carpenders Park, but soon All Saints church was built for the South Oxhey Estate, replacing St Alphage. It was sited to the north of Oxhey Chapel and was consecrated in 1953. In 1960, All Saints became a separate parish, serving both the South Oxhey Estate and Carpenders Park. The original All Saints building had to be demolished, because it contained dangerous quantities of asbestos. Following an extensive fund-raising campaign a new multi-purpose church centre was erected during the year 2000. The church building is open throughout the day on every weekday to welcome and help any member of the community and a lunchtime 'drop in', provides refreshments. In addition, there is the work of ASCEND (All Saints Centre for Employment and New Directions) which is a limited company with charitable status formed in 1998, working in the fields of homelessness and skills development. The charity is legally separate from the church, but is the tenant of several rooms in the church complex. Ælthelred's 1007 Charter is in the Ashmolean Museum in Oxford. The first historical reference to Oxhey comes from the time that it was in the south-east corner of the kingdom of Mercia. King Offa II of Mercia (757-796) traditionally founded the Benedictine Abbey of St Albans. He gave the district of Oxengehaege to the Abbey, it was rumoured, in expiation for a murder for which he felt responsible. The monks ran it as a grange on which, mainly the lay brothers, worked to provide food, fodder and firing for the Mother church. For a time the land was seized by 'wicked men', but in 1007 Æthelred the Unready restored it to the then abbot, Leofric, and built a new monastery chapel to replace one which was in ruins following a Viking raid. The monks are believed to have built the first bridge over the Colne, in what is now the Watford's Lower High Street, so that they could transport produce more easily to St Albans. In later mediaeval times, the land was farmed by tenants of the Abbot. 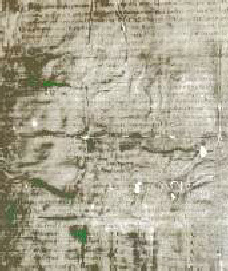 A Cartulary (a set of official records) of about 1390, in the hands of Chatsworth trustees, relates to St Albans' property and mentions Oxhey.